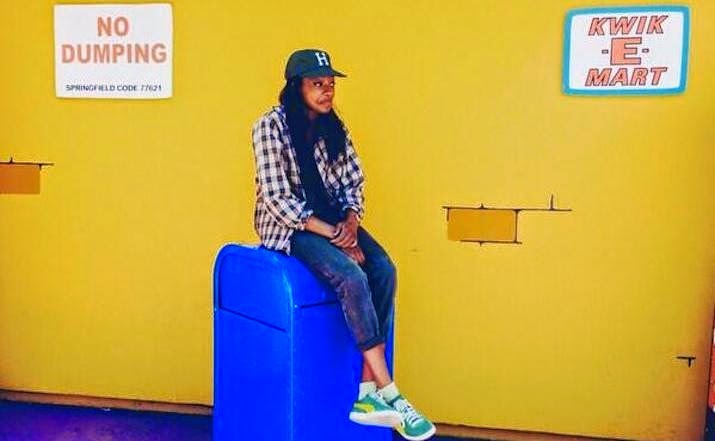 Coming off of touring with ScHoolboy Q on his UK tour alongside Isaiah Rashad, the unstoppable Little Simz has unveiled the visual for ‘Bars Simzson’ - with a high energy ‘The Simpsons’ themed video. Shot in Los Angeles at Universal Studios, ‘Bars Simzson’ is taken from Simz forthcoming debut EP ‘E.D.G.E’ - the acronym for Every Day Gets Easier, which has officially got a release date for June 16. Produced by Chicago's very own Hank Iving, ‘Bars Simzson’ is a fan favourite that has tipped people into falling in love with her artistry and delivery, espeically after seeing her perform the hit at ScHoolboy Q concerts. ‘E.D.G.E’ feautres production from the likes of Sango, Jakwob, High Frequency, OTG along with appearances from her SPACE AGE collective and some surprise guests. The EP will also be supported with a series of live dates and festival appearances around the world, some of which are already sold out! "I'm a young Steve Jobs, when I get to 21 imma be handing out jobs!"